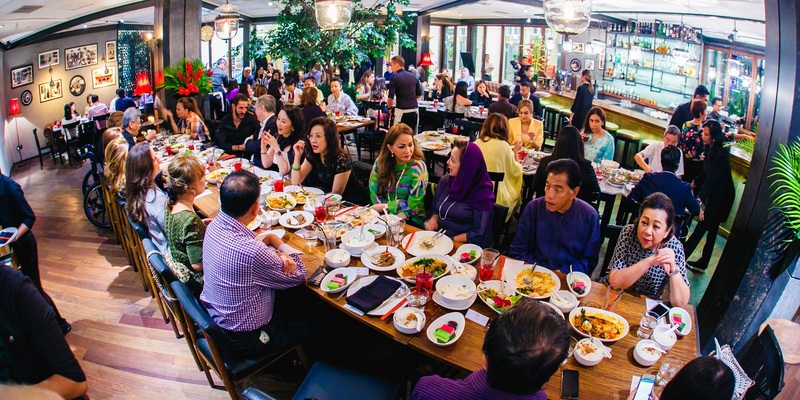 The president and founder of The Melium Group treated friends of Melium to Buka Puasa at destination restaurant Mama San KL, the international concept establishment that specialises in Southeast Asian cuisines. Among the famous guests were Fyza Kadir, Anzalna Nasir, Whulandary Herman and Zahida Rafik as well as members of royalty and the crème de la crème of Malaysian society. On the menu were culinary favourites such as Mama San Fish Curry with Okra, Tomato & Tamarind and the signature Slow Braised Beef Rendang Simmered in Indonesian Spices and Coconut Milk. Dessert came courtesy of Dome Café (launched by Melium 23 years ago), with cake trays bearing Dome Caramel Macadamia Cheese Cake and the all-new Sundaes selection. The latter comprises myriad flavours like Cheeky Monkey, fresh fruit salad and raspberry jelly, topped with banana, vanilla ice cream and a chocolate frog. The sisters walked for Prada and Versace, respectively. BAZAAR’s guide to perfecting this gravity-defying look. You should take this casting rumor with a whole handful of salt, but STILL. The designer showed her namesake label on the schedule for the very first time.